The jersey dress is one of the most versatile pieces in your closet especially during the transition from summer to fall. You can wear them now to stay cool in the heat or pair them with tights and a leather jacket for fall. 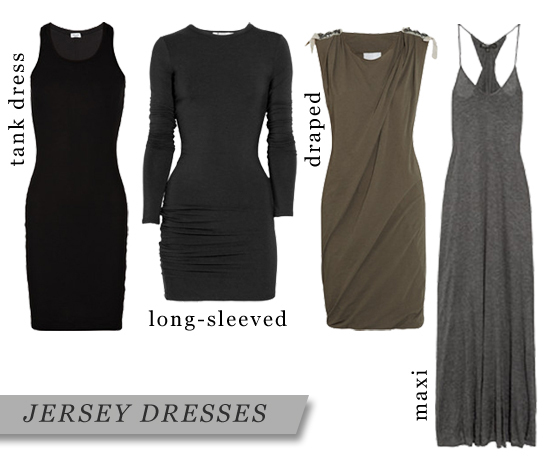 Here are some of our favorite jersey dresses that you can buy now and continue to wear later.